For those of us who call Canada home, we understand there is always a threat from wildfires. But 2017 has been a year of unusually intense wildfire activity, both here in Canada and across portions of the neighboring United States. Not only is this concerning for those who live in or near the vicinity of active wildfires, but the smoke generated from an active fire can travel hundreds or even thousands of miles to impact air quality all across the continent. As such, an active wildfire in British Columbia can be responsible for a sudden influx of smoke, soot, ash, and toxic chemicals in Ontario, and there isn’t really anything to stop it. But while you can’t prevent increasing toxicity in the outdoor air, you can do a great deal to keep any of those poisons and irritants from creeping inside your home and business. Finding ways to clean and purify your indoor air can be especially critical if you or family members suffer from seasonal allergies, respiratory conditions, or asthma. This is especially true as worldwide estimates indicate wildfire activity will only increase in the coming years. Learn what you need to do to reduce your family’s risk in this timely post. The Canadian Lung Association emphasizes how dangerous inhalation of wood smoke (from wildfires or any source) can be, even if you are otherwise healthy and do not have any known lung issues. The moment wood smoke passes into your body, your immune system will kick in to try to repel airborne toxins. Part of that response will be an increase in lung and respiratory tissue inflammation as your body works to repel or neutralize the toxins. This means that, often, the full impact of smoke inhalation worsens after the first 24 hours, sometimes causing a fatal chain reaction. If you experience any of these symptoms, it is best to seek out a doctor’s care without delay. Every year, your hard-working HVAC will run for thousands of hours to keep you cool or warm, depending on the season. But overall, HVAC units get a lot less TLC than other major investments, such as automobiles. For example, if you are like most car owners, you probably take your car in for an oil change and basic tune-up at least every 3,000 to 5,000 miles. But your air conditioner and furnace may get the same attention only about once a year! Making sure you schedule your annual A/C and furnace maintenance inspections can increase the useful life of each and also maximize efficient, effective operations. One of the most important services is the thorough inside/outside cleaning that will remove dust, debris, mould, mildew, and other detritus that have accumulated inside and around each unit. This simple build-up can reduce A/C and furnace performance by as much as 22 percent while simultaneously stockpiling allergens and toxins to irritate your lungs and sinuses. At the same time, you can talk to your service technician about upgrading your filters and/or adding ancillary indoor air quality supports that work with your A/C and furnace to keep smoke and other toxins out of your air! P.S. The easiest way to ensure your A/C and furnace stay in peak working order is to enroll in one of our money- and time-saving annual protection plans/maintenance agreements. This has been the summer to maximize indoor air quality. Why? The answer is simple: wildfires. While there is no way to stop toxic airborne smoke from wafting in our direction, there is a lot that can be done to minimize its impact on our body. This is why Shipton's has been offering a FREE indoor air quality appliance to every client who purchases an AC/furnace combo this summer and fall. Media air cleaner. A media air cleaner can work with any make or model of AC or furnace to trap and isolate particulate matter before it can enter your indoor air supply. HEPA-rated air cleaners can isolate particles as small as 1/100th of a single human hair! UV Saber light. Ultraviolet (UV) light is still the gold standard for neutralizing airborne toxins. UV light doesn’t just trap airborne particles: it eradicates them. This system works with any make or model of AC or furnace to neutralize airborne toxins from wildfire smoke and other sources before they can affect your health. Whole home humidifier. Keeping your indoor air humidity levels balanced seasonally is an important protective action to keep your sinuses and lungs from getting too wet or too dry. 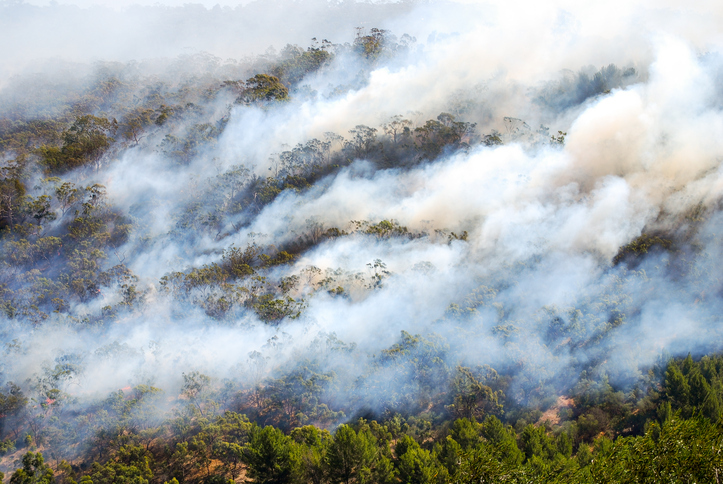 When indoor air humidity is not balanced, your immune system must work harder to fight off or neutralize toxins such as wildfire smoke by-products. Here at Shipton’s, our passion is also our life’s work. As a family-owned and -operated company with nearly 100 years of temperature control and air quality expertise, we can work with you to find just the right approach to keep your indoor air safe, breathable, and pure at home and at work. Give us a call at 905-549-4616 or visit us online to learn more!